He found the maker, Mr Nyam [ni-yam]. 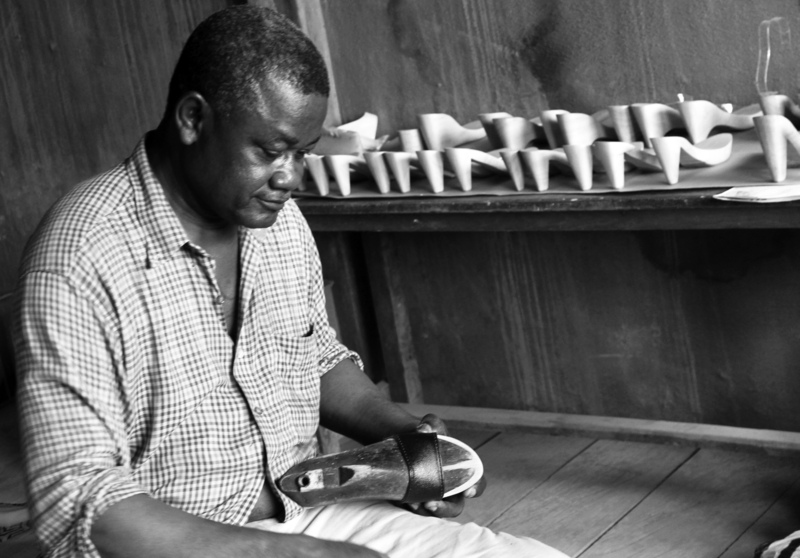 A shoemaker for over 25 years, he had invented a model in raffia in the 1990s so successful that copycats appeared all around Central Africa. Then in the 2000s the rise of cheap shoes from abroad and free shoes distributed by charities destroyed the local industry. Mr Nyam went bankrupt. A friendship grew between the two men. Omes Footwear was born.